About 30 percent of ecommerce visitors use site search to navigate. These shoppers may be 50 percent more likely to make a purchase. 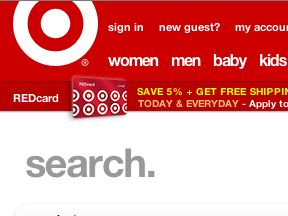 It seems that would-be customers who choose to use search rather than clicking through an ecommerce site’s navigational hierarchy may be in a late stage of the buying process and looking for a specific product or specific information, according to Econsultancy, which also reported the data concerning on-site search and search-related conversion rates mentioned above. In all, Econsultancy suggests that good ecommerce site search can improve sales, boost conversion rates, increase site use, and even improve customer retention. Central to providing a robust on-site search experience may be a well-planned and organized search-results page. Intrinsically, more than just that page, which displays the results of a shopper’s query, the search-results page is a form of customer interaction aimed at helping and informing. In effect, the shopper is asking a question like “do you have size 9 jeans?” or “do you have the toy my daughter asked for?” The search-results page is the store’s answer to the question. Here are my eight recommendations for a high-converting search experience. The most important thing that a search experience can do is return results that are relevant to the shopper’s query. The items displayed need to be closely related to the query terms, and unfortunately too often the simple keyword-based search that comes standard with many ecommerce platforms simply won’t do. Instead, try to develop a search feature that understands a searcher’s intentions. As an example, when a shopper types “Windows” into the search bar on Apple.com, the first listing on the search-results page is a link for Boot Camp support. Boot Camp is a software tool that allows users to run Microsoft Windows on Intel-enabled Apple computers. The search results page makes sense, given the search query, even though the word “Windows” does not actually appear on the page that the search results page links to. Results when searching “Windows” on Apple’s website. This type of query change is common and helpful as the user seeks to find just the right product or information. A good search-results page should aid in the query reformation process, offering users search suggestions, plural options, or even options for alternative spellings. Returning to the JAM Paper & Envelope site, one can find just these sorts of aids at the top of the search-results page, where there is a “did you mean” link and a number of suggested search refinements. JAM offers suggestions based on the search term. A good ecommerce search results page allows shoppers to apply attribute-based filters to the search results. These attributes may be price, color, size, or any number of other product attributes. The aim here is to help the user refine the search results using common product navigation. 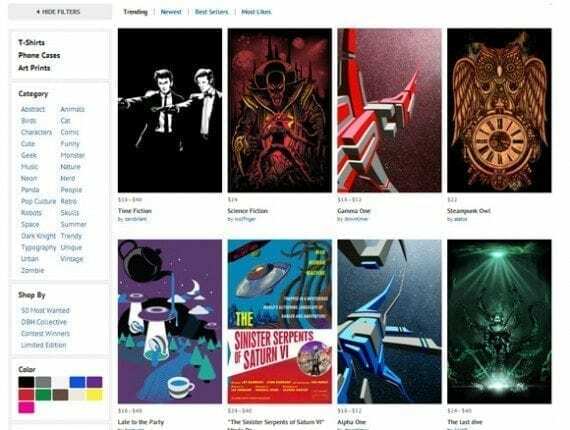 As an example, the Design By Humans site’s search-results page allows shoppers to filter for design category or color. Design by Humans offers an option to filter by category. 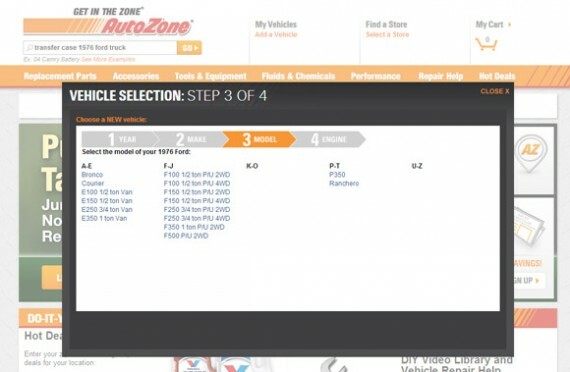 AutoZone, the multi-channel auto parts retailer, actually asks search users to filter results before displaying the search results page. A search for a “transfer case 1976 ford truck” will display the site’s product filter for vehicle model. AutoZone asks users to filter before displaying results. Shoppers, whether searching or navigating to products, are interested in what other shoppers think about a particular product. Thus, it makes sense to include product reviews on ecommerce search results pages. 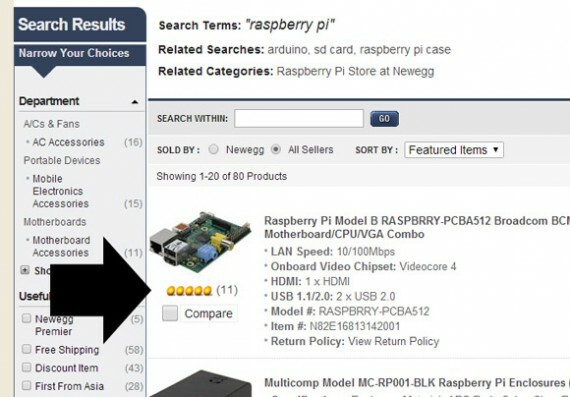 For example, try searching for “raspberry pi” on Newegg. The top search result has been awarded five eggs from 11 reviewers — just the sort of information that could influence a sale. Newegg sorts search results by best reviews. Amazon even includes reviews in its search filters so that shoppers can filter results by how highly rated a product is. Amazon allows users to sort results by review stars. Shoppers searching on an online retailer’s site are probably looking to buy something. So why not put an add-to-cart or buy now button or at least a quick view on search results pages. 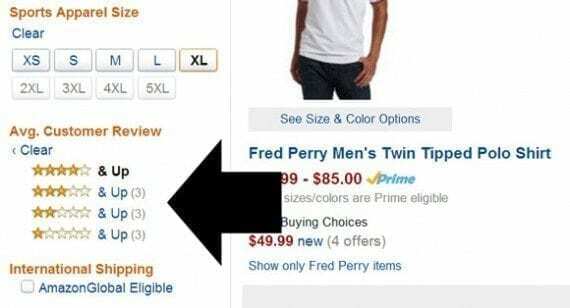 Protein Co. does this on its search results pages, allowing shoppers to add an item to the cart direct from the results. 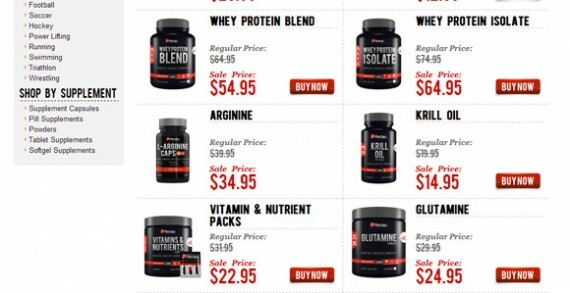 Protein Co. allows users to add items to cart directly from search results. The default search engine found in many ecommerce platforms will not reach beyond the product catalog. This is unfortunate when a retailer has invested time and money developing a blog or even building a following on social media networks. 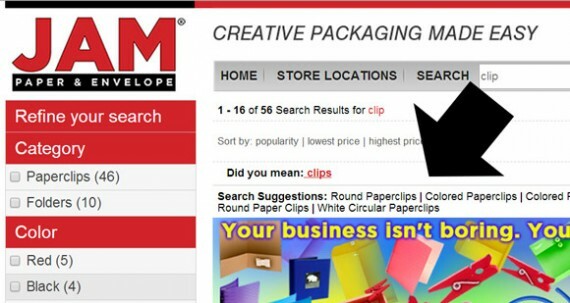 Don’t ignore helpful non-product content; include it on search results pages. To see an example, look at the Kidrobot store. Its search-results page is tabbed and includes product content, blog content, and recent posts from Facebook, Twitter, and Instagram. Mobile, mobile, mobile. If a merchant hasn’t figured out by now that a significant number of online shoppers are using smartphones and tablets to visit ecommerce sites, it may be too late. For the rest of the ecommerce industry, it is a fact that mobile optimization, primarily through responsive site design, is a must, and search results pages are no exception. 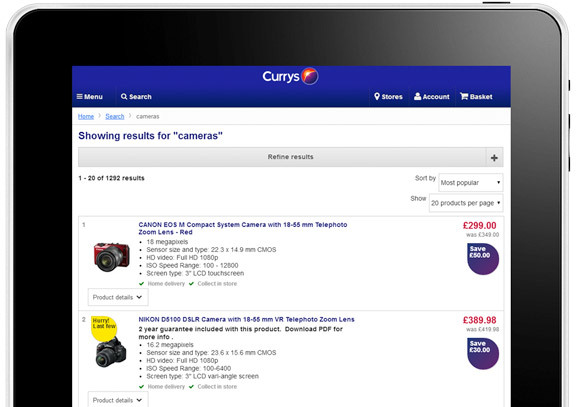 The U.K.-based retailer Currys is an example of a good ecommerce site with a responsive search results page. Currys is a good example of responsive design in search results. All of the search-results page best practices discussed so far focus on improving the current search conversation with the customer. If a merchant can collect good data about how and what shoppers are searching, it is possible to improve future conversations too. As an example, simply knowing how a shopper describes a product in a search query may help a retailer write better product descriptions, choose better keywords for pay-per-click campaigns, and even offer better product support.